Those interested in adding walk in tubs to their homes in the St. Paul, MN, area, can trust the experts at U.S. Patio Systems and Home Remodeling to provide high-quality products and professional installations. 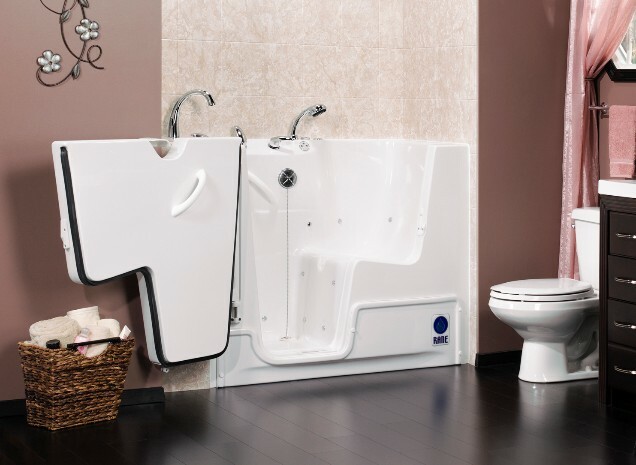 We match our top-notch services with the best products on the market, so it’s only natural that we sell and install bathtubs made by Safe Step Walk-In Tub Co.
One of these tubs will have you looking forward to baths again instead of worrying about slipping and falling. Additionally, since these walk in bathtubs fit into a standard tub space, there’s no need to worry about how you will fit one of these top-notch bathtubs into your existing bathroom. To learn more about the spa-like walk in tubs we have available for homeowners in the St. Paul, MN, area, contact U.S. Patio Systems and Home Remodeling today.